Frances, Leonard, Susanna and I went to the L.A. Zoo today for our outing and to try to get Frances to go into labor (She's 9 mos. pregnant.) We saw the alligators, seals, kangaroos, koalas, flamingos, snakes and frogs. OK, this postcard front and back do not match up. But check out the awesome front! 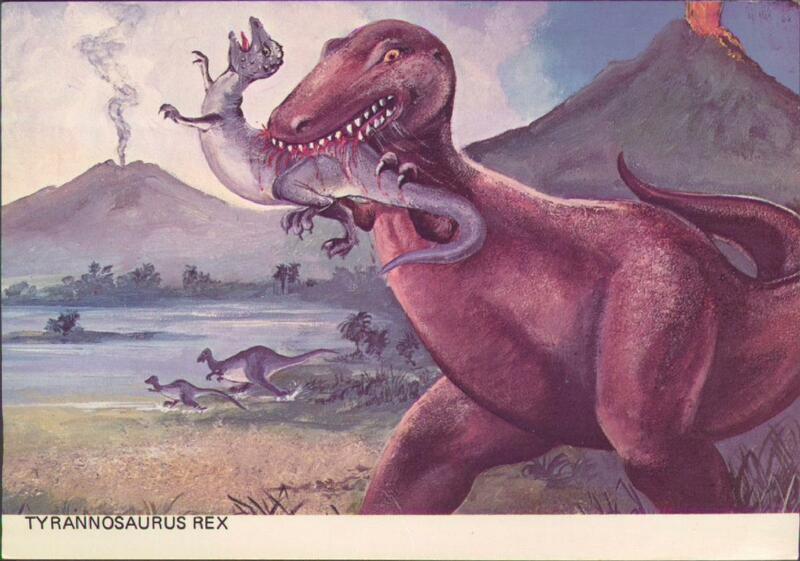 That pachycephalosaur is having a very bad day. 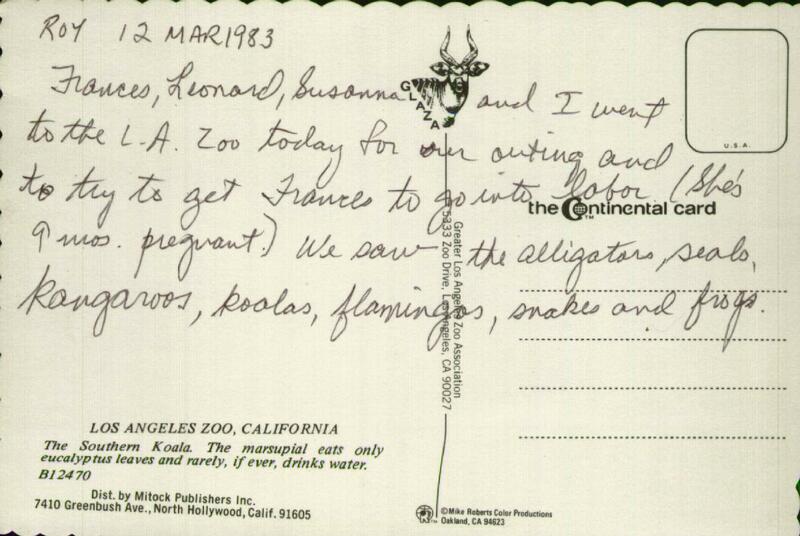 I'm amazed at the idea that we would go to the zoo to try to get my mother to go into labor, but it worked! Rachel was born the next day. Rachel says: "Mom always told me that her water broke at the LA Zoo. She also told me that I was three weeks early. So at least one of these is a lie."